QVC was founded way back in 1986 and has now grown into a store that broadcasts to over 350 million households in several countries. At the QVC website, you can watch live streams of these broadcasts, where items of all sorts are showcased by the hosts and special guests. If you are looking for a gift, or want to buy something unique for yourself, there are plenty of items to choose from. Everything from name brands to indie designers, from beauty products to electronics, can be found here. One feature that has made QVC a favorite is their buy now pay later program, which they call Easy Pay. With it, you receive your item now and pay monthly installments with no extra charges. This can be done with QVC’s card or any major credit card. You can also pay the balance of remaining installments anytime. QVC is also known for their excellent customer service, which will make everything they can to satisfy your needs and help you out with any question or problem you might have. Online stores like QVC are the new trend, and the internet is full of them, so picking the good ones can be tough. 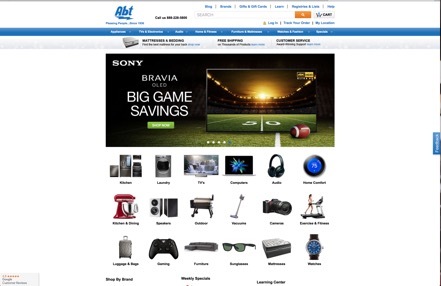 Here is a list of some of the best buy now pay later stores like QVC we have discovered. 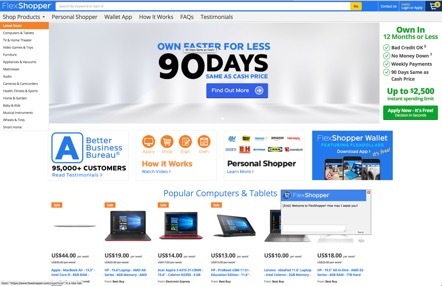 FlexShopper offers a peculiar way to shop: by completing weekly payments, you can own any furniture, appliances, electronics, and other brand name goods using a rent-to-own system. All it takes are four steps: apply online and receive a certain amount of spending limit, chose any of the 85,000 products available, sign the lease agreement, and make your payments until you own the items. There is no money down required, and there are no hidden fees. To submit an application you just need to be at least 18 years old, have a source of income, live in the US, and have a bank account. Want to replace that old fridge that can’t seem to keep your food cool anymore? ABT specializes in appliances and electronics, but there are also sections dedicated to furniture, audio, and even watches & fashion. If you’d like to buy now and pay later like in QVC, you can use the ABT card. If you aren’t a member yet apply now on the website and once you are approved you can receive 12, 24, or 36 months of financing depending on your purchase. ABT also has excellent customer support service, which will help you out with any issue while buying an item. There are thousands of products with free shipping, and free tech support seven days a week in case you need any assistance setting up that LCD you just bought. Shop at this online retailer and get the credit you deserve. Items are nested into several departments, where you can find something for any place in your home. Patio furniture, clothing, tools, video games, and automotive accessories are examples of what you can find here. 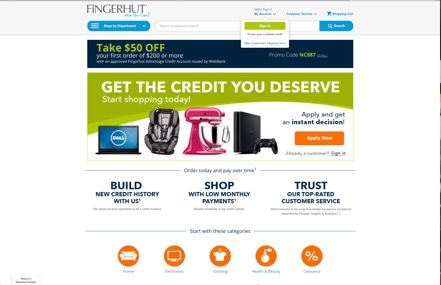 For a buy now pay later service like QVC, you can apply online for a Fingerhut credit account and receive an instant decision so you can shop with low monthly payments on hundreds of brand names. And paying off your account’s balance early without any penalties is also possible. If you are not sure about the type of product you need, check out the Product Guides section and learn more about them so you can make the right choice every time; discover the best towel fabrics, or the different pillow fills that guarantee a great night’s sleep. 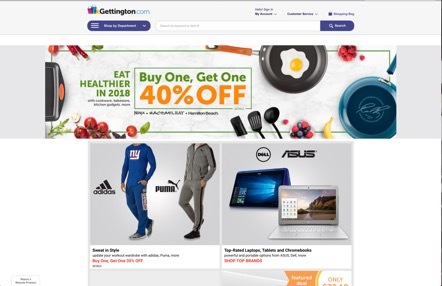 Another good site with many departments to browse is Gettington. 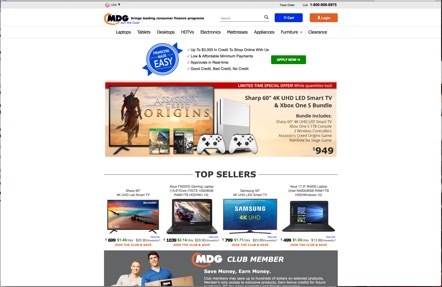 Although the prices are already quite affordable, keep an eye on the homepage for any special deals, as well as coupons which are regularly posted and give you an extra discount on your purchase or shipping costs. Similar to QVC, they have a buy now pay later offers through their Gettington credit account. If you don’t have one, apply online and submit your application. It only takes a few minutes. For a shop full of deals with extra savings, visit the Clearance page and find top-of-the-line items at rock-bottom prices. If you sign up to be alerted, you’ll get an email whenever new items are added to this section. MDG has a consumer financing program that works as a buy now pay later store like QVC. You can purchase laptops, desktops, tablets, electronics, furniture, appliances, and more, with a financing credit program that will suit anybody’s credit history. Low and affordable minimum payments and real-time approvals make this an excellent option, and even if you have bad credit or no credit at all, you can apply and be considered. At this QVC alternative, sales and support are only a phone call away. You’ll find brands like Samsung, ASUS, HP, and The Brick, and your purchase can be tracked online until it arrives at your doorstep.